It is a tradition that the Yizkor Memorial prayer is recited in the synagogue on Yom Kippur, the last day of Pesach, Shavuot, and Sukkot (which is also called Shemini Atzeret). 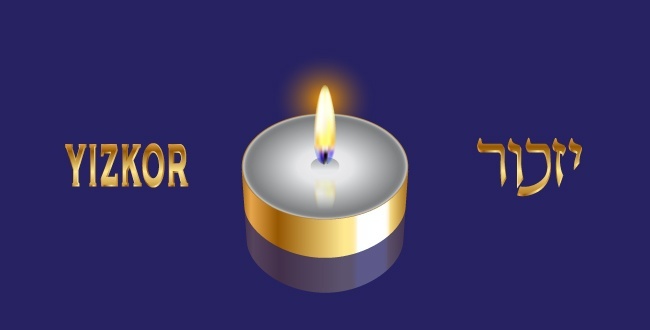 In this prayer we ask G-d to remember the souls of our beloved departed for good, and we offer charity in this person’s memory. The Yizkor prayer will be recited at our synagogue’s services on the last day of Passover, Shabbat, April 27, at approximately 10:30 am. We welcome you to attend services, but if for any reason you can not, you may still participate in the Yizkor service by completing the form below and returning it along with your donation. The recommended donation is $18.00 per name. Please give Hebrew or Yiddish name, if known. If you have any questions, please call our office at (305) 933-0770.